472 kHz in USA soon? In order to allow for co-existence with Power Line Carrier (PLC) a minimum horizontal separation distance of 1 km between electric power transmission lines with PLC systems that use the same band and the amateur station operating the band is proposed. Amateur operators will have to notify the Utilities Telecom Council (UTC) of the location of their proposed station prior to commencing operations, to confirm that the station is not located within the 1 km separation distance. UTC must respond to the notification within 30 days if it objects. 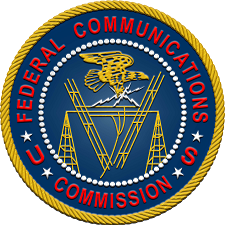 If UTC raises no objection, amateur radio operators may commence operations. The proposed power limitation is 5 W EIRP, except for stations located in the portion of Alaska that is within 800 kilometers of the Russian Federation, where the EIRP will be limited to 1 W. In addition the transmitter power is limited to 500 W PEP (to be understood that neither the PEP or the EIRP limit shall be exceeded) and the height of antennas used to transmit shall not exceed 60 m above ground level (AGL).